The Best in Startup Innovation from St Louis, Cedar Rapids, Australia, Lincoln, Los Angeles, New York, Omaha, and beyond. We make CoBrowsing software that allows 2 or more people to view and interact with the same web page at the same time. We primarily focus on helping customer service teams provide amazing experiences to their customers while solving their issues much more efficiently. SavR is a mobile App that simplifies personal finance management by automating savings and investment. SavR utilises micro-savings and user defined targets to assist each user to boost their cash reserves, pay off debt faster or automatically purchase Cryptocurrency. Activity based on-demand micro-duration insurance platform. We provide deductible insurance and primary coverage for individuals for the duration of the activity they want to pursue. For example, we can insure the deductible for 90 minutes of a soccer game. novocAI's goal is to help hospitals save time, save money, and save lives by leveraging artificial intelligence to aid doctors in the diagnostic process. Our solution is a comprehensive diagnostic software suite that includes Oncolo, trained on over 50,000 CT scans, and Radiolo, which is in the research phase. Oncolo boasts a 98% accuracy rate for cancer identification and can currently determine if any of three types of cancer (breast, prostate, and lung) is present in a scan. It offers an objective, data-based opinion to oncologists as they diagnose patients. When completed, Oncolo will segment its confidence scores for cancers into different stages of severity and show various treatment options. Edquity offers the first of its kind college financial matching, planning, FAFSA completion, and success platform for high school and college students, supporting students through each and every financial decision on the road to college graduation. Alyss Analytics is an HR Tech solution that utilizes the power of AI to quantify the soft-skills demonstrated in a candidate video. Our SaaS provides employers a quantifiable and comparable index of an entire applicant pool's soft-skills prior to candidate interaction. Alyss empowers employers to make better, faster hiring decisions. Showcase makes art accessible. We help arts organizations provide a platform for their emerging, local artists. We help art patrons - both established and aspirational - identify artists within their community. 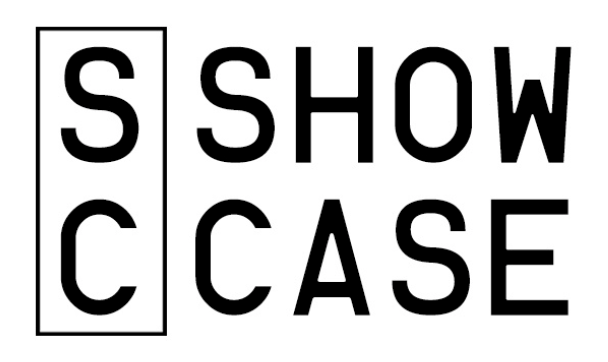 Most importantly, Showcase helps artists showcase their work to a broader audience. We act as the roster, ecommerce engine, and customer marketplace for local arts communities. Layer is a platform for all your building's data. The app for mobile, desktop, and CAD allows you to layer contextual information like images, custom fields, tasks, and messaging and more onto your building elements. MetKnow is a flashcard and quizzing application that helps members in organizations learn each other's name. MetKnow has an issued patent electronic flashcards and quizzes for the sake of knowing people. We want every employee to feel welcome, feel connected, be productive, and to want to stay at their job therefore reducing the risk of turnover. SmallData Tech is an efficient, inexpensive small data transmission carrier for the Internet of Things. We also manufacture a suite of monitors & sensors primarily for the management of water and other natural resources. fyiio is a tutorial management platform for companies to create, publish and maintain guides with people's learning preferences in mind. Most people were never taught how to handle money. We help people gain control of their money and their life so they can eliminate money stress, build wealth, and change the world. Our WalletWin@work program helps companies provide their employees the knowledge and tools they need to gain financial wellness and increase employee productivity, morale, and retention. Pawlytics is a management system to help animal shelters and rescues be more efficient by keeping scattered information in one central location. Our software goes one step further and analyzes the aggregated data to create more innovative solutions to our homeless pet problem. FoundationGIVE helps fund classrooms and activities by strengthening the partnership between school foundations, classrooms, and communities to produce the best educational outcomes possible. We've created a giving management platform that helps teachers, principals and PTOs launch crowdfunding campaigns with oversight and approval from the district. Enkadia is a startup committed to developing software products to reduce the cost and simplify the programming and installation of hardware required by high-cost control systems for audio-video projects. Enkadia provides a better solution. We take off-the-shelf hardware and marry it to a popular programming language and development environment. Enkadia Beacon software components work with Visual Studio to control today’s network addressable a/v devices with a few lines of code. Enkadia created its Beacon line of software components so control systems can be built with Android tablets, Microsoft Surface Pro, Intel NUC systems and inexpensive network switches and touch monitors. Squad Genius is a team management application targeted primarily at youth sports teams. Our web-based application launched in March 2018 and we will release iOS and Android apps in June 2018. Our mission is to provide the simplest, most engaging and 100% free to use team management app to every team, group and squad in all parts of the world. Bric is a platform for workforce analytics. We capture data as people plan projects and track time. This allows us to provide managers and executives with dashboards and analytics about their team's performance and projects. You can learn more at getbric.com/pitch. Nebullam is a vertical farming technology provider to indoor farmers, who are focused on reducing labor costs and increasing production space. BasicBlock's mission is to drive new efficiencies into the trucking and logistics industries by developing a transportation marketplace that directly connects shippers and carries without the need for 3rd party intermediaries. By mining everything on the blockchain, both parties can now easily monitor all goods in transit, receive notifications when certain conditions have been met, and send/receive payment immediately upon proof of delivery. PaymentSpring is a developer-driven payment acceptance solution for everyone doing business online, in person and on the go. The secure gateway is fully customizable, so customers and donors will have a seamless experience. Setup is simple, and our partnership mentality puts a major precedence on transparent pricing and client support. Shared success is our ultimate goal. Bugeater Foods is not just a product company but an idea company looking to solve the world hunger problem through insect research, awareness, investing and end product development. Bugeater Foods' core objectives are to develop end products using insect protein and invest back into the infrastructure of the cricket/insect industry. We are creating brands that inform consumers about the benefits of insects as a protein source but also a nutritious food ingredient. This is key in overcoming the stigma around eating insects. Starting with Jump, a cricket protein shake that went on sale in June of 2015 and is now offered in two flavors, coffee & chocolate. We have since began research on and have a provisional patent for cricket fortified rice and pasta and are hoping to launch the cricket pasta in 2018. Third Space Coworking and Childcare will combine a professional workspace and a licensed daycare for parent employees to use during the transition back to work after they have a baby. Regard creates new insurance products that can help middle-class Americans financially when dealing with health-related income truncation risks or out-of-pocket shocks. The company’s first product is medical gap insurance that affordably turns high-deductible health plans into low-deductible ones and that comes bundled with telemedicine and patient advocacy. Consumers will be able to purchase Regard coverage via agents/brokers, channel partners, and directly online. Regard is currently the only U.S. non-carrier startup with a proprietary insurance product, guaranteed carrier distribution, and a setup that does not depend on carrier legacy technology. Gazella Wifi turns guest wifi into an automated marketing tool. -- Visit GazellaWifi.com for all the fun details! ScoutSheet is the fastest way to grow your business. We are the Pandora for sales prospecting. Stumble on new customers in your browser, like or dislike them, and it extracts their information into a perfectly organized spreadsheet. Drive Spotter captures and leverages the long tail of location to streamline mobility applications. Simple Vet Solutions (SVS) is a business-to-business, software-as-a-service company providing a platform to ensure regulatory compliance in veterinary health records. Officially incorporated in January 2017, our platform was built from the ground up for compliance in the months leading up to our launch. SVS has been revenue-positive from the beginning and we currently provide service to commercial farms spread over the eastern United States. Video Analysis software - Record, Annotate, and Analyze Video. Vosaic helps researchers, educators, and learners gain insight to Improve Human Performance. CloudCharger is a company that provides an intelligent charging solution for EV drivers to provide them with the lowest possible prices based on current grid conditions. Emenoo saves restaurant-goers time by suggesting meals based on their restaurant reviews. Emenoo also helps businesses better understand their customers and analyze their menu performance. Nelnet (NYSE: NNI) is a diversified technology and educational solutions company headquartered in Lincoln, Nebraska. We partner with high-potential small businesses to accelerate new growth through strategy, brand, and marketing. Allo Communications is a telecommunications company developing a world-class gigabit fiber network to expand business opportunities, create jobs, and improve quality of life for Nebraskans. Buildertrend was founded in 2006 as a result of a simple observation. Residential construction companies needed a user-friendly, web-based software; software to help them build more projects, build them faster, reduce costly communication errors, and ultimately maximize customer satisfaction. Over the years, Buildertrend has grown the system to be the most widely used software in residential construction, and grown its team to over 300 employees. Our 110,000 sq-ft. headquarters, located right here in Omaha, NE was designed with employee satisfaction as the #1 priority. And the best part? We're always hiring! NXXT helps startups & enterprise innovators accelerate growth and compete in a changing marketplace. We offer research and advisory services, training, immersive events, and a member network designed to foster innovation. SUITER SWANTZ IP is an Intellectual Property Law Firm providing superior patent, trademark, and copyright services. Defy Ventures transforms the lives of business leaders and people with criminal histories through their collaboration along the entrepreneurial journey, and harness the natural talents of currently and formerly incarcerated men, women, and youth and redirect them toward the creation of legal business ventures and careers. We rely on our outstanding volunteers who donate their time and talent to help mentor Entrepreneurs-in-Training (EITs) inside and outside of prison.